Women's reproductive freedom and religious freedom, two of JAC's main issues, suffered a serious blow this week with the approval of Jeff Sessions for Attorney General, Tom Price for Secretary of Health and Human Services, and Betsy DeVos for Secretary of Education. Price and Sessions will push their anti-choice, anti-women agenda in their new positions, while DeVos will use America's schools to build God's kingdom." Despite these losses, our activism is definitely getting attention on the Hill. JAC met this week with Sen. Tim Kaine (D-VA), who stressed that we must keep the pressure on elected officials. The protests, phone calls, and mobilization are making a difference and has forced the GOP back down from some of their other plans. We can not give up. 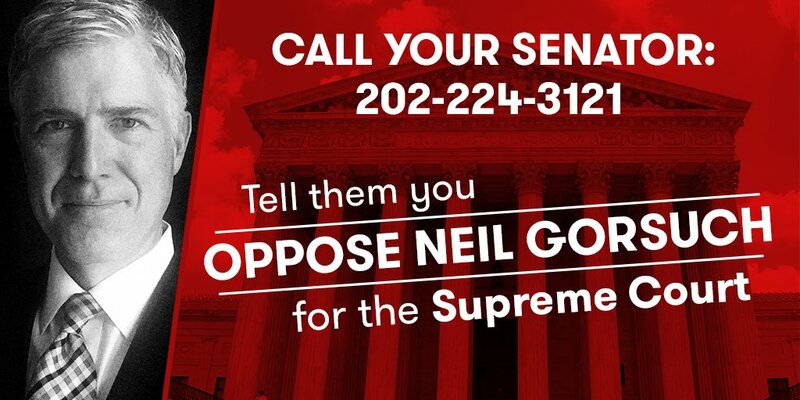 We must now gear up to block the Supreme Court nomination of Neil Gorsuch - another Trump ally who will wage war on women's health care from the nation's highest court and permit corporations to use their religious beliefs to discriminate. Sen. Debbie Stabenow (D-MI) told us this week that the GOP "may have won the election, but they don't own the country." The women's march last month motivated us and Sen. Elizabeth Warren galvanized us with her strong voice. Let's keep working and remember: "She was warned. She was given an explanation. Nevertheless, #ShePersisted." Join JAC. We are fighting every day. Donate. Keep calling your Senators. The White House published a list of terror attacks that it claimed were "under-reported" by the American media, after a speech by President Trump challenged that the media was refraining from reporting on terror attacks. While the list included dozens of attacks that were carried out in countries across the world, it didn't mention any attacks against Israel, a country where dozens of stabbing, car-ramming and shooting attacks have led to the deaths of Israeli citizens, policemen and soldiers. President Trump and his advisers, venturing for the first time into the fraught world of Middle East peacemaking, are developing a strategy on the Israeli-Palestinian conflict that would enlist Arab nations like Saudi Arabia and Egypt to break years of deadlock. During his election campaign, Donald Trump signaled his presidency would be a boon for Israel and tough on Palestinians. The U.S. Embassy would move to Jerusalem, he would name an ambassador who backs Israeli settlements on land Palestinians seek for a state and there would be no pressure for peace talks. But as Trump prepares for his first White House meeting with Prime Minister Benjamin Netanyahu, his administration has toned down elements of its pro-Israel bravado, suggesting that a president perceived to have acted hastily on many early policy initiatives will be more cautious with Middle East diplomacy. A branch of Islamic State in Egypt has reportedly claimed responsibility for firing rockets from the Sinai peninsula into Israel. 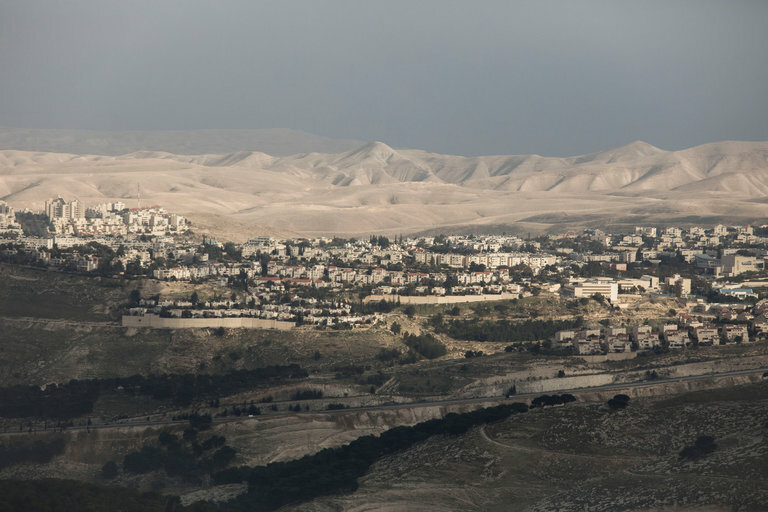 This incident came hours after a mortar reportedly fell in the Golan Heights near the Syrian border fence. It's not just rhetoric anymore. 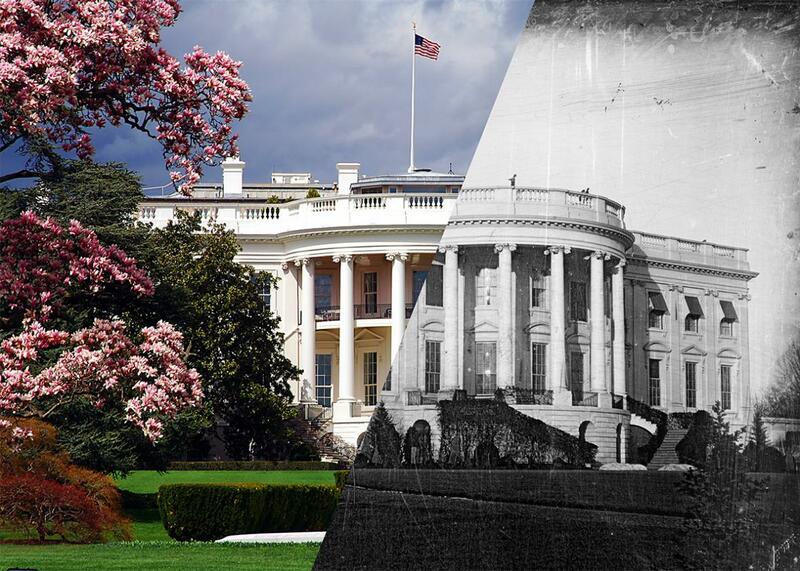 This is a political program that could set American democracy back 150 years. Attorney General Jeff Sessions, his former aide Stephen Miller, and right-wing media mogul Stephen Bannon occupy prominent positions in the administration. They hold deep antagonism to immigrants and immigration, opposition to their equality within American society, and nostalgia for a time when prosperity was the province of the native-born and a select few "assimilated" immigrants. But these aren't just ideologues with jobs in a friendly administration. 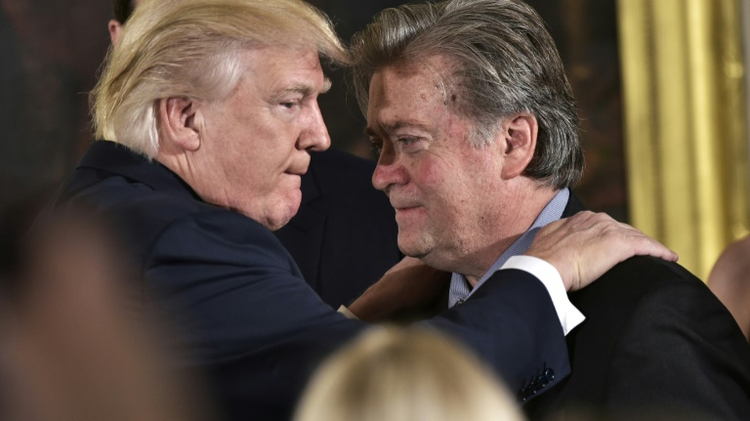 They are the architects of Trump's policy, the executors of a frighteningly coherent political ideology. 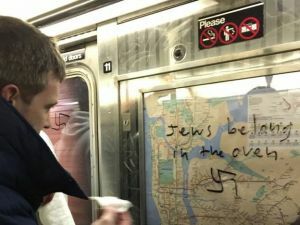 In the past month, there have been bomb threats to JCCs, neo-Nazi marches planned against a Jewish community in Whitefish, Montana, swastikas popping up across the New York mass transportation system, and a Chicago synagogue's windows were smashed in. A sense of anxiety has crept into the American Jewish community. Jews are feeling frightened and some kind words and solidarity are needed sooner rather then later. With Jeff Sessions confirmed Wednesday as the new U.S. Attorney General, there is slim hope that clinics can rely on the Justice Department to enforce policies fighting anti-choice terrorism. In its quest to enact policies that punish Muslims as much as possible, the Trump administration is showing a concerning willingness to turn a blind eye to anti-abortion terrorism. The government needs to send a clear message that all forms of terrorism need to be addressed, including those motivated by anti-abortion extremism. The Affordable Care Act gives poor women access to health care so they don't need to be incarcerated to get it. A 1976 Supreme Court case states that prisons and jails are constitutionally mandated to provide health care to incarcerated persons. For some people, jail and prisons are one of the few places they can reliably access health care, including prenatal care. Tom Price's confirmation as Health and Human Services Secretary offers a life-jacket to the so-called fast-track ACA repeal process treading water in the Republican-controlled Congress. Price already may be eyeing ending the birth control benefit, a signature provision of the ACA requiring employer-sponsored health insurance plans to cover contraceptives and contraceptive counseling as preventive care with no cost to the consumer. Trump's Education Secretary pick has spent a lifetime working to end public education as we know it. In a 2001 interview Betsy DeVos was asked whether Christian schools should continue to rely on giving--rather than pushing for taxpayer money through vouchers. 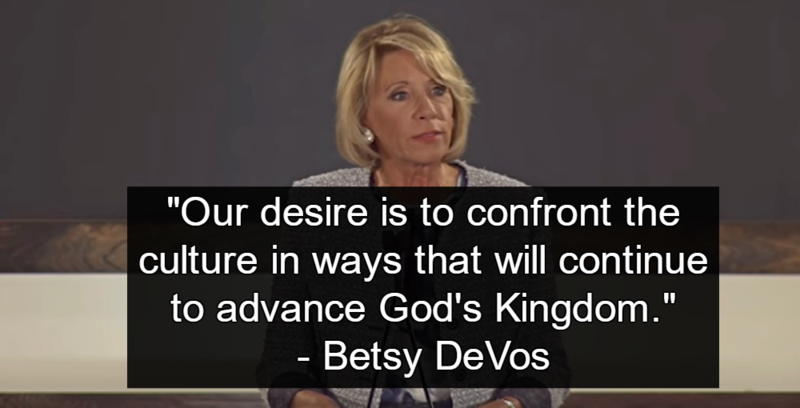 DeVos replied, "There are not enough philanthropic dollars in America to fund what is currently the need in education....Our desire is to confront the culture in ways that will continue to advance God's kingdom." President Trump's executive order on immigration has a clause that is supposed to protect religious minorities. Trump has made it clear he focusing on Christians from the Middle East. If implemented, individuals who can show evidence of being persecuted as Christian will qualify for a fast lane into the United States. 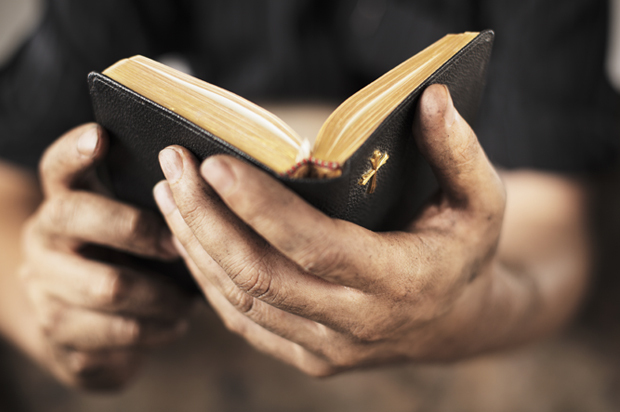 Every immigration officer must know how to tell if a person is a Christian and will have the authority to determine who belongs to what religion and declare a person Christian, Muslim or atheist. Advocates for and against gun control agree Gorsuch is a "pro-gun" judge and the proof is a court case in which he sided with a felon busted with a gun. The felon said he didn't know he was a felon, therefore unaware he was barred from having a gun. Gun-rights advocates say Gorsuch's role in U.S. v. Miguel Games-Perez prove his deep commitment to the Second Amendment, and will fight for his confirmation. 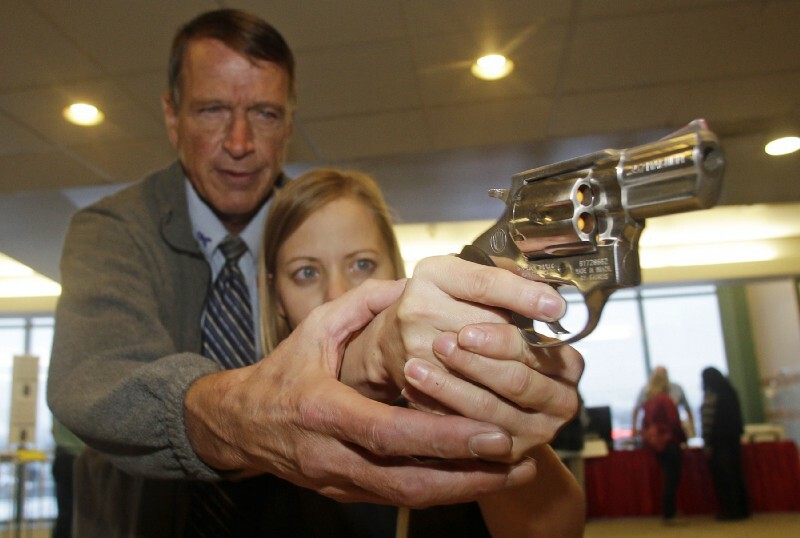 Gun control supporters say Americans should be concerned that he won't even restrict gun rights for convicted felons. Republican lawmakers make plenty of arguments when it comes to allowing guns in schools, claiming that these zones are targets for criminals and only an armed teacher would be able to protect students from a gunman. States currently are required to comply with the 1990 Gun Free School Zone Act, which prohibits unlicensed individuals from possessing a gun within 1,000 feet of a school. But as the gun lobby has tightened its grip on Congress over the last two decades, more Republican lawmakers have begun to reconsider these types of commonsense gun laws. Trump was given more than $30 million by the National Rifle Association, who expect to see a return on their investment. The Army Corps of Engineers will grant the final approval needed to complete the controversial Dakota Access oil pipeline. The news from the Army Corps came two weeks after President Trump issued a memo asking the agency to approve the pipeline as soon as possible. The decision is a major victory for pipeline developer Energy Transfer Partners and the oil industry, and a defeat for environmentalists and the Standing Rock Sioux Tribe. Chairman of the Joint Chiefs of Staff, Admiral Michael Mullen, appointed by President George W. Bush and re-appointed by President Barack Obama, said Steve Bannon has no business being on the principal's committee and the Chairman of the Joint Chiefs of Staff and the National Intelligence Director need to be there. Admiral Mullen went on to say Bannon's presence is a threat to national security deliberations. Trump was angry to find out one of the executive orders he signed put Bannon on the National Security Council. Trump claimed he hadn't been briefed on it, deflecting any responsibility for not having read it at all. Republican lawmakers, hoping for a break from the politically charged atmosphere in Washington, D.C., have been met with protests at home. Liberal activists are bringing the fight to the doorsteps of GOP lawmakers, marching on the streets of their hometowns and making legislators' lives miserable as they attend meetings and town halls with constituents. 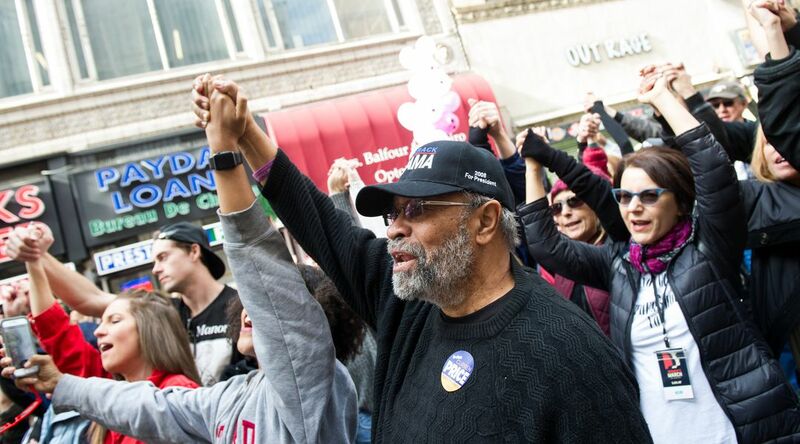 For Democrats who have seen their party lose control of Congress and many state governments, the protests are a hopeful sign that Trump has awakened the opposition. The latest bit of ridiculousness from the Trump administration follows a familiar pattern: the President says something false, his aides scramble to convince reporters that what he said was true and fail miserably, only making themselves look foolish. 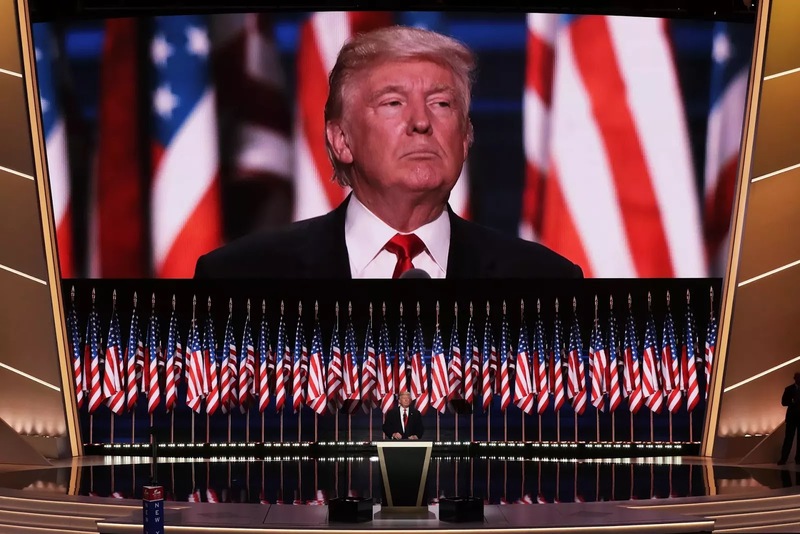 What follows is a wave of fact-checks and mockery, and the whole thing serves to reinforce Trump's opponents' view that he's a liar and his supporters' view that the media are out to get him and can't be trusted. But if we take a step back, we see there's a different way to understand what's going on - Donald Trump wants Americans to exist in a state of perpetual fear. Protests, phone calls, and mobilization are making a difference. The most important story in American politics right now isn't what Trump is doing: it's that the opposition is working. It's crucial for Trump's opponents to be aware that protesters' efforts are not futile. What's needed is for Trump's critics to continue to resist the siren song of sectarianism and keep at it. If they do, Trumpism will be buried. When Senate Majority Leader Mitch McConnell intervened to prevent Sen. Elizabeth Warren (D-MA) from finishing a speech, many felt that silencing viscerally. When McConnell, later, remarked of Warren, "She was warned. She was given an explanation. 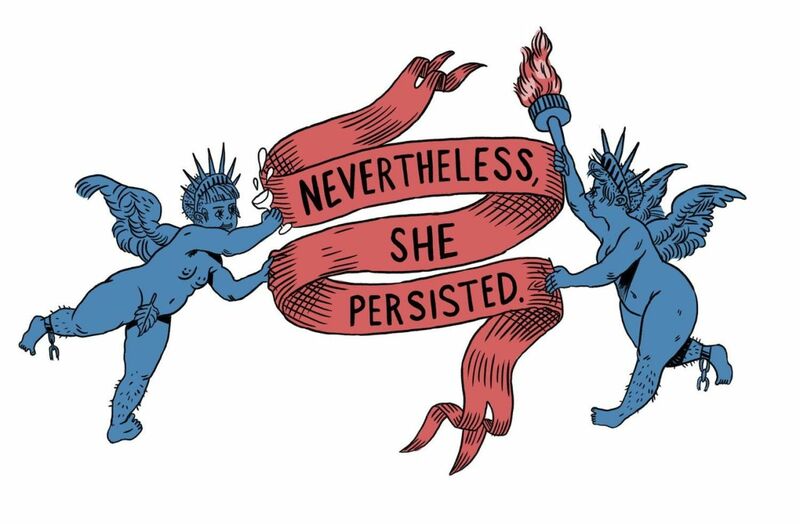 Nevertheless, she persisted," many women, regardless of their politics or place, felt it again. Those women have heard the same thing, or a version of it, many times before. All of that helps to explain why, today, "Silencing Liz Warren" and #LetLizSpeak are currently trending on social media platforms. 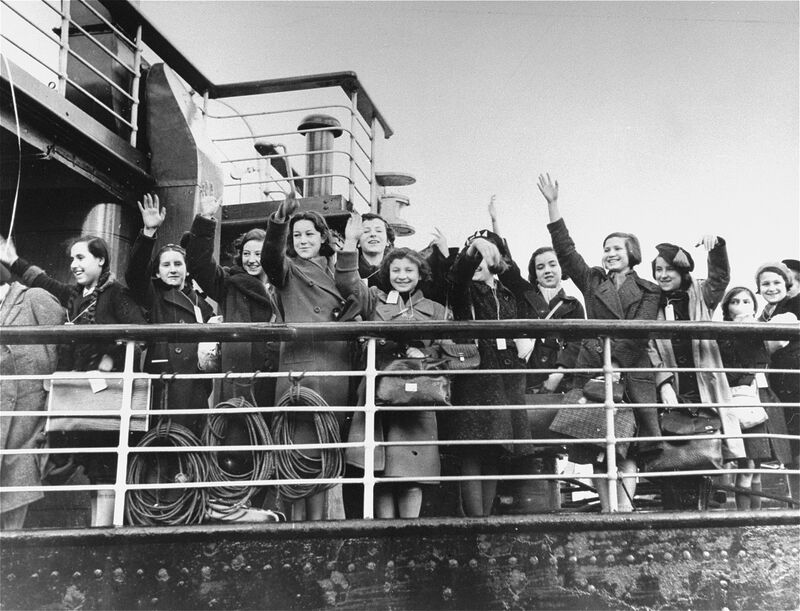 10,000 mostly Jewish children were saved on a "Kindertransport" or children's transport before World War II. Now these "children" are making their voices heard to fight for current refugees hoping to come to America. The KTA prepared an open letter to be signed by survivors and their descendants which will be sent to the White House and Congressional offices. "Despite all the challenges we face, I remain convinced that yes, the future is female. We need strong women to step up and speak out. We need you to dare greatly and lead boldly. So please, set an example for every women and girl out there who's worried about what the future holds and wonders whether our rights, opportunities and values will endure."